Hooray.....a blog entry from the lady of the house! Not a willing one either I might say. Yes, I will admit that I was slightly peeved that I had to organise this meal for the household the other day. This is not because I dislike cooking, but because I had other activities on the agenda for the day that I had to can. So after I got over my 'woe is me' thought process, I really quite enjoyed putting this meal together and it turned out to be an absolute winner! The comment of the night went something like 'baby, the last two meals you have cooked lately have been awesome' - actually to be honest I can't remember what Andy said, but I am sure that this is what he meant. So normally when we buy pork neck we marinate it in a lemongrass/chilli/garlic etc concoction which I have referred to in a previous blog marinated pork with papaya salad. This time Andy sent me a recipe from she simmers - not only was it dead easy, but it was so much better then the marinade of the past. Mix all ingredients together and marinate pork for 2+ hours. 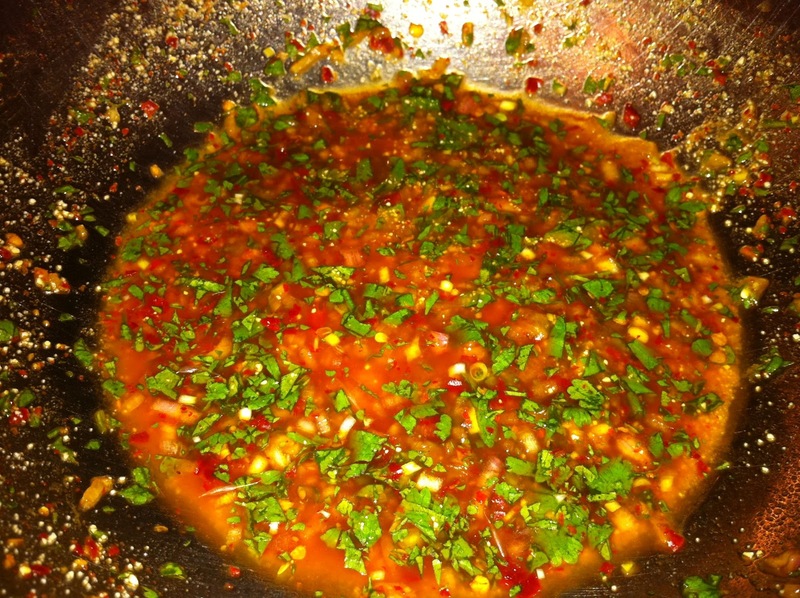 Oh my goodness this dipping sauce is amazing - spicy and yummy and excellent with the pork. 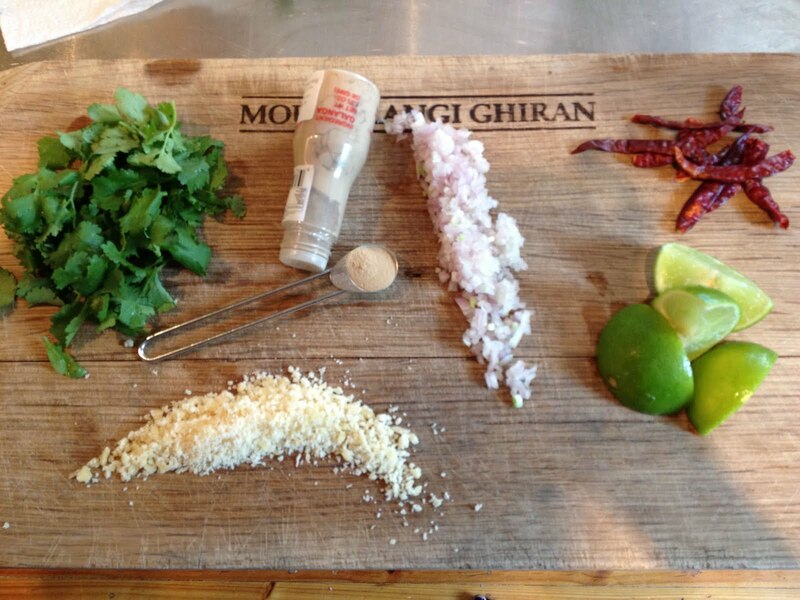 Mix all of this together and adjust flavours to taste. I made my own toasted rice powder which is quite simple really. Use glutinous rice (sticky rice). Put about 1/2 cup in frying pan over low/medium heat until brown which takes about 10 mins or so. Keep moving rice around so that it cooks evenly and does not burn. Once browned, wait for it to cool and then bash to a powder in the motor and pestle. 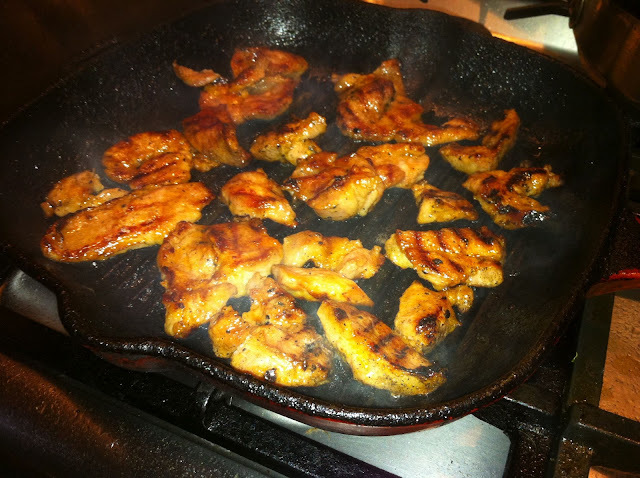 Cook the pork in a smoking hot griddle pan. I served this meal with a simple side of freshly sliced cucumber, iceberg lettuce and the Jaew. Simple but very tasty! I am LOVING She Simmers. Thank you so much for the rec! I'm so simplistic with my home cooking, it's inspiring me to get a bit more creative but authentically so. She Simmers is pretty amazing. Definitely one of my most used blogs, that's for sure. If she were to release a cookbook it would be a must buy!